With the help of their intuitive product, the ADEO, insurance verification, patient notifications, and patient responsibilities can be completely automated. In order to achieve this, CES models the workflows of the particular medical facility, based on the use cases, while factoring in dependencies like the region located etc. Once the team breaks down the exact steps, they automate all the processes in the workflow of the administrative routine. To get down to the details, CES begins by collecting the required information from the trained staff through a form. They also identify alternative ways to gather additional information such as through external management systems or EMRs. For instance, if patients have to be notified of their responsibilities, CES builds a system that can initiate phone calls on behalf of the staff. The system not only has the data of the location of the patient scheduled for the appointment but also the details of the physician assigned and the fee to be paid. This also allows the staff from not having to do the redundant and monotonous tasks and focus on other responsibilities of paramount importance. “We strive to be the lowest-cost high-quality provider of software when CEO’s and administrators are trying to provide seamless healthcare treatment to patients at a minimal cost,” adds Susan. Results have proven that the ambulatory surgery centers that use the ADEO software have fewer full-time employees in their business office with better revenue when compared to their competitors of the same size. CES supports SaaS and on-site services as well, as they feel dependence on the internet will not suffice the cause in the healthcare industry. This also ensures business continuity, when it comes to additional backup and storage. 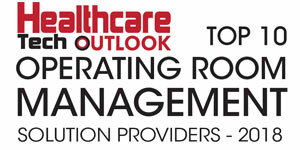 A particular healthcare provider customer was struggling with high patient cancellation rates. They approached CES and utilized their automated insurance verification and patient notification system that were able to notify the patients of their schedules two to three weeks ahead of its time. This led to a substantial reduction in the patient cancellation rates. CES is looking beyond the horizon to keep expanding its billing, consulting, and collection services in the years to come. With AI already built into their software, the company is planning to enhance the technology to a greater extent that can aid in automation through cost-effective solutions for the customers.